Cyber attacks are becoming increasingly problematic for organizations that conduct business online. Of critical concern today are Distributed Denial of Service (DDoS) attacks. DDoS is a distributed type of attack that allows malicious generating traffic to congest Internet access lines, leading to denial of service and, as a result, damaging an organization’s reputation and potentially leading to loss of revenue, loss of valuable customers and loss of market reputation. Every day these attacks become more sophisticated, making your corporate data vulnerable and security demands increasingly challenging. Distributed Mitigation Managed Service (DMMS) is the technology of mitigating DDoS attacks using a network perimeter equipped with a chain of powerful fine-tuned firewalls. 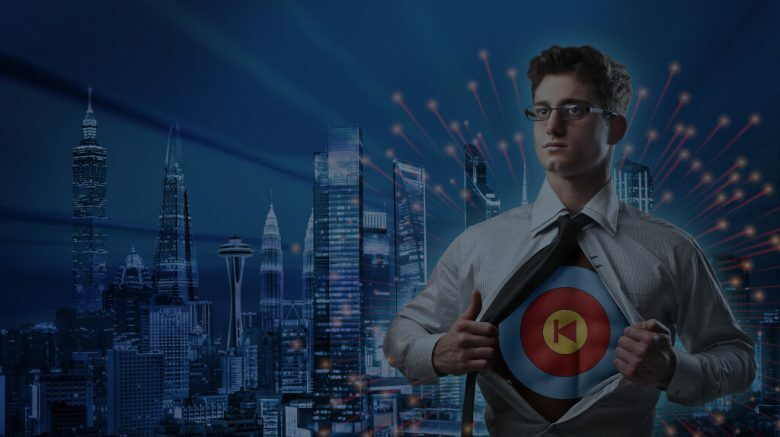 Our solution has four key advantages over the classic DDoS miti- gation technique called “Clean Pipe” or “Cleaning Center”. First is latency – traffic is mitigated directly on the network’s perimeter avoiding the need to redirect traffic to the “Cleaning Center”. The next aspect is reaction time – fine-tuned firewalls automatically detect most types of floods and immediately start the mitigation process making reaction time close to none. Another advantage of the IPTP DMMS service is a massive network capacity of over 35 Tb/s which allows the withstanding of heavy-bandwidth DDoS attacks without the risk of service degradation. And last, but not least, are expenses. Mitigation with the classic “Cleaning Center/Clean Pipe” approach results in the concentration of high traffic volume on a single point, which usually requires purchasing extra bandwidth. 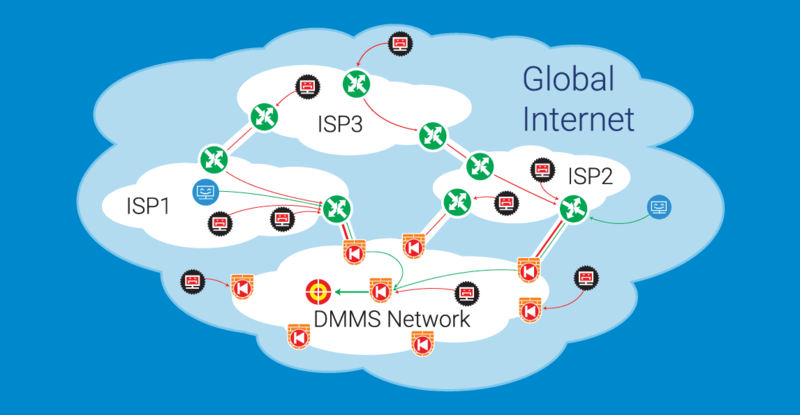 The usage of a worldwide distributed net- work of an IPTP DMMS firewalls helps customers avoid these unexpected expenses by distributing traffic among multiple points in our network and eliminating the combined high load on a single node. No added latency. No reaction time. The distributed de- sign of IPTP’s DDoS mitigation defense topology allows us to clean traffic directly at the edge of our network (in under 1 ms) without shifting traffic to a clearing center and back, thus eliminating any response/activation delay and providing a truly transparent mitigation. Bandwidth limits higher by an order of magnitude. Un- like other companies offering DDoS protection via limit- ed Cleaning centers, we operate our own global cleaning network instead. Therefore malicious traffic never aggregated and cleaned immediately along the entire perimeter of our network. 1500 of 10 Gbps ports distributed across the globe and the total network capacity of over 35 Tb/s allows us to withstand heavy bandwidth attacks. IPTP DMMS Network is an ultimate solution for protecting your resources against most types of volumetric DDoS attacks. No extra charges for bandwidth overload. Traffic is distribut- ed among multiple points so no combined volume of traffic reaches a single network node. A major advantage of our solu- tion is that malicious traffic is cleaned before it reaches our network so no extra charges will apply for extra bandwidth. Technically advanced solution against DDoS. IPTP Networks DMMS highly customized firewalls can handle any type of protocols, starting from standard HTTP to any TCP and even proprietary UDP-based encrypted protocols used in financial sectors, making sure that each request gets serviced. The advanced firewalls within the IPTP DMMS Network can handle multi-gigabits of traffic and filter out all types of traffic floods, including but not limited to ICMP, UDP and SYN. Our qualified specialists deal with high loads of traffic on a daily basis and operate on high-end network equipment from Cisco, an industry-leading provider, to ensure that your enterprise receives the unparalleled sustained performance and continuous protection it requires.